With the release of Bad Company 2 came a whole host of questions and lament towards how to play the four separate classes. In particular the Recon class was swamped in ill-will from many game players who saw the class as too powerful or stunningly aggravating during the wide-open expanses of multiplayer maps found in the game. 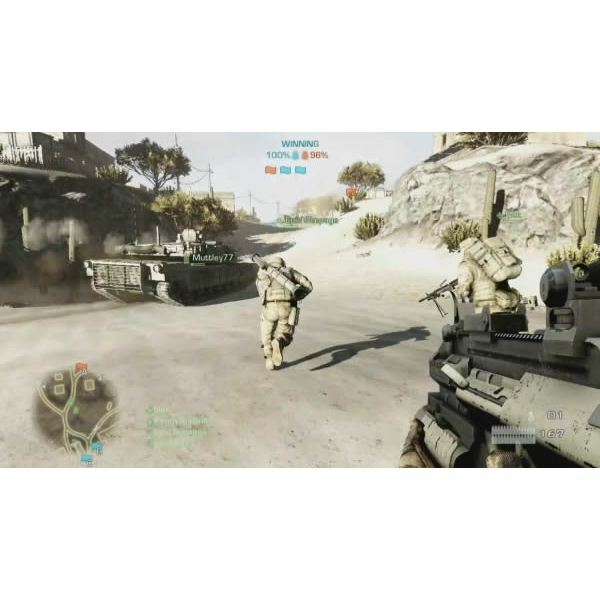 This Battlefield: Bad Company 2 Recon guide looks to inform people about how to effectively play as a Recon and when and where to use their class specific abilities. 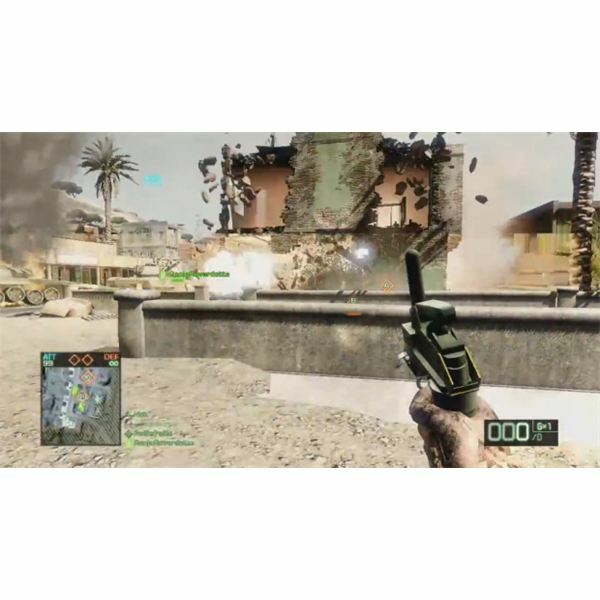 Continue reading for the dissemination of a class that still causes upsets among the masses of BF:BC2 players online. First off, players will need to study the weapons-tree that unlocks as you gain experience with the Recon class, noting which specific weapons & equipment they would personally like to try out. Once all of these, or at least the majority of upgrades are unlocked, players can start to formulate their own opinions on which Recon kits they prefer. Choices are individual, this is the key, there is no right or wrong kit selection for the Recon class. Even using the M1 Garand obtained by becoming a veteran or using the selected shotgun has its advantages. Although this Battlefield: Bad Company 2 Recon guide will focus on the Sniper Rifle choice as opposed to any of these almost gimmicky weapon choices. As far as equipment choices go, the 12x scope (4x if you haven’t unlocked it yet) are imperative to out-lasting opponents. Often Sniper dog fights will ensue across large distances, given Battlefield’s penchant for huge multiplayer areas, which require a greater increase in the zoom function on a scope. If the map is condensed or you find yourself in-and-around the enemy then using the Magnum Ammo unlock or even Silencer option would be advantageous. Furthermore, use of the C4 charge should be refined to either close combat vehicle fights or setting up a trap around a bomb point or flag, detonating only when at least 2 or 3 enemies are within range. For the lone wolf among us, Mortar Strike’s should be the go-to choice, giving a long range air strike for stopped vehicle or other camped enemies to worry about. Once again, this choice is dependent on your gaming style, whereby close quarters has a defined choice and the other is mainly for long range engagements. Know the importance of spotting enemies (Back(360) or Select(PS3) buttons) and use it effectively. As a priority, use it to discern enemy placements close to your teammates, which can greatly help them. If this fails, use the Spotter Ball to aid in this practice, automatically marking movements when it senses them. Killing enemy snipers should be the bread and butter for any Recon class player. After that begin to not only spot but kill enemies in close proximity to your teammates. Use the mortar strikes or C4 to disable vehicles and clusters of enemies, also some building destruction wouldn’t go amiss if you’re on an attacking team in RUSH mode. The goal of the Recon class Sniper should be to avoid detection and remain hidden while picking off their teams personnel. To do this, a Recon player should constantly be on the move, looking for new vantage points to Snipe from and generally moving across the terrain so as not to be noticed in any one spot. This is very important. With these tactics and specific loadouts selected, it should become a whole lot easier to play as Recon in BF:BC2, even if every opposing player is specifically baying for your blood. “Shoot & Move” is probably the most important pointer in all of this Battlefield: Bad Company 2 Recon Guide and anyone reading this should adhere to this notion of constant relocation and reinvention with the Sniper. Happy hunting!